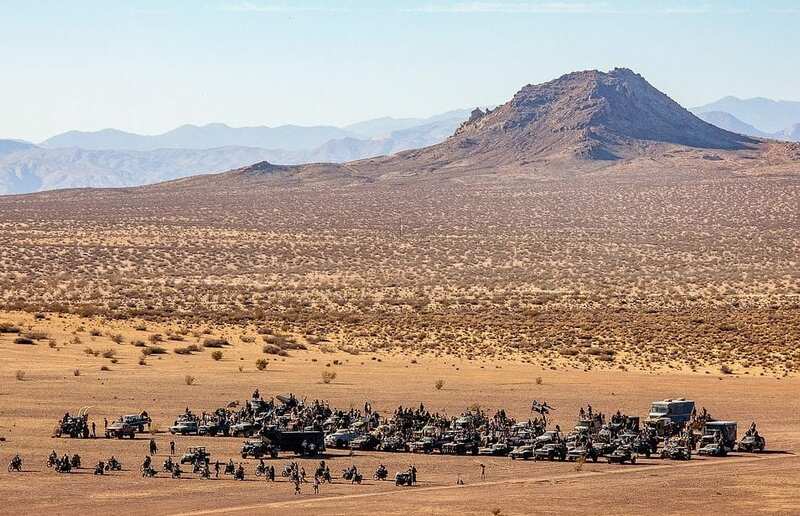 While the Mad Max film franchise used the arid desolation of the endless expanses of Australia’s Outback as its canvas, it seems Southern California can also achieve the goal of emoting the same sentiments of a harsh reality. This picture illustrates the dramatically beautiful backdrop for the Wasteland Weekend festival. The festival takes place just outside of California City. It’s a city relatively small in population but massive in size, spread out across the northern part of Antelope Valley in the Mojave Desert. If you’re planning on attending Wasteland Weekend, best bring some serious suntan lotion. You’ll be fully exposed to strong California sunshine, in temperatures that can easily get into the 90s.